Drink more water, get out in the sunshine, eat a nutritious diet, reduce stress, and do more exercise - all great advice on improving your skin yet what's often overlooked is the actual products you put on your skin; if you're focusing on natural ways to improve your lifestyle it makes sense to focus on improving the products you use too. The Purity Facial Cleanser is a gentle cleansing oil ideal for sensitive skin, crafted with a blend of olive oil, golden jojoba oil, and macadamia nut oil to create a natural facial oil free of alcohol, SLS, parabens, and synthetic fragrances. The oil turns into a milky emulsion when water is added allowing it to cleanse deep into the pores, dissolving impurities and moisturising the skin. Four options are available: unscented, lavender, clary sage or tee tree, and each glass bottle comes with a pump enabling you to distribute the right amount of product without waste. I've been using the Purity Facial Cleanser morning and evening to refresh and cleanse my skin; I've found it's improved the overall appearance of my complexion, helping to restore my lacklustre skin as we move from summer into autumn. In an attempt to reduce waste, we've switched to using bar soap in the bathroom; it doubles as a body and hand wash as well as a facial cleanser. Activated Charcoal Soap will draw out toxins and deeply cleanse your skin in a gentle way that makes it ideal for problem or acne-prone skin and sensitive complexions. This bar contains no fragrance or colorants meaning the soap is unscented and unlikely to cause irritation. I have been using this after cleansing in the evenings to remove any remaining traces of product; although I can see it drying the skin out in the winter months it's nothing a good moisturiser can't fix, and I find it leaves my skin beautifully cleansed and soft to the touch. Any issues I've had with blemishes, breakouts, or redness has been cured by using this soap on a daily basis plus, in the shower, it lathers up beautifully. Bath salts are a traditional way to soak your body infusing the skin with minerals to improve its health and increase hydration. 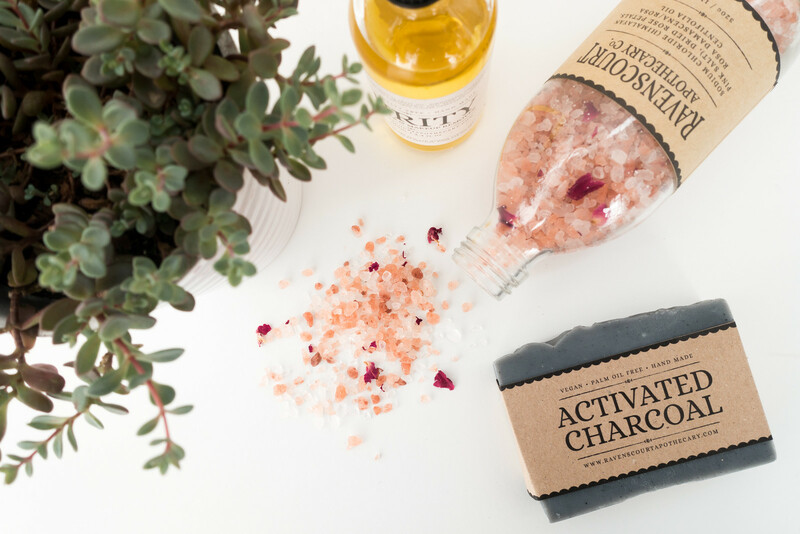 Himalayan pink salt is the purest of sea salts and one of the best sources of natural minerals with healing, renewing, and detoxifying properties. 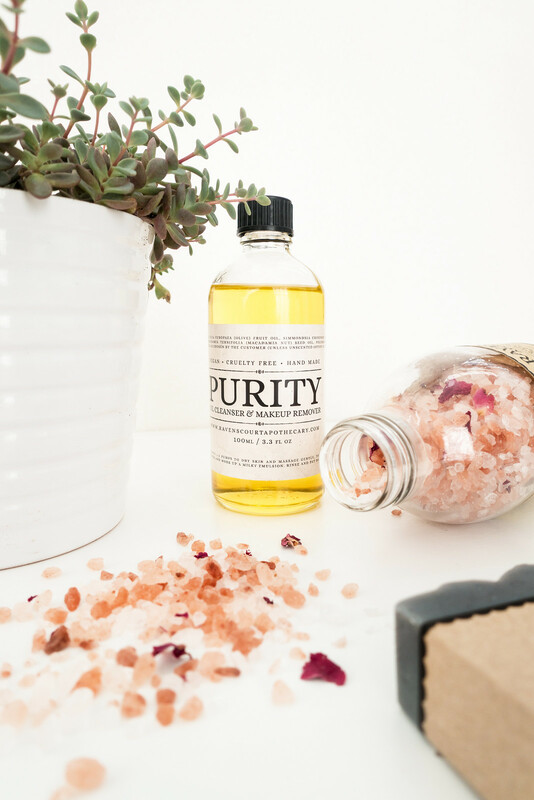 The Moroccan Rose Bath Salts contain Himalayan pink salt hand-mixed with dried Iranian rose petals creating a beautiful floral scent and mineral rich blend to condition the skin and relax muscles, relieving muscle pains and remedying dry skin, psoriasis, and acne. 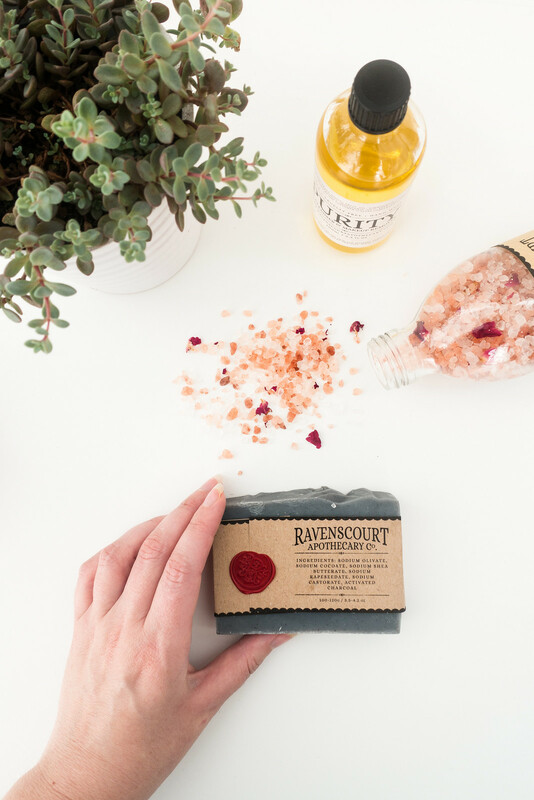 Ravenscourt Apothecary is my first experience with truly natural, handmade skin care products, and I'm amazed by the quality and improvement they have made to my skin. If you're looking for natural alternatives for your current routine, I'd recommend browsing the Indie Make-up and More subreddit for recommendations.